Finding enough money to pay for essentials with any child is an uphill struggle. But when you have a child with extra needs the demands are even greater. Toys, bikes and even holidays are more expensive. Because everything with a disability or special needs label has an extra cost! And trying to earn more with a caring responsibility, between juggling appointments and SEN reviews with the normal hassles of everyday life, is a tough ask. 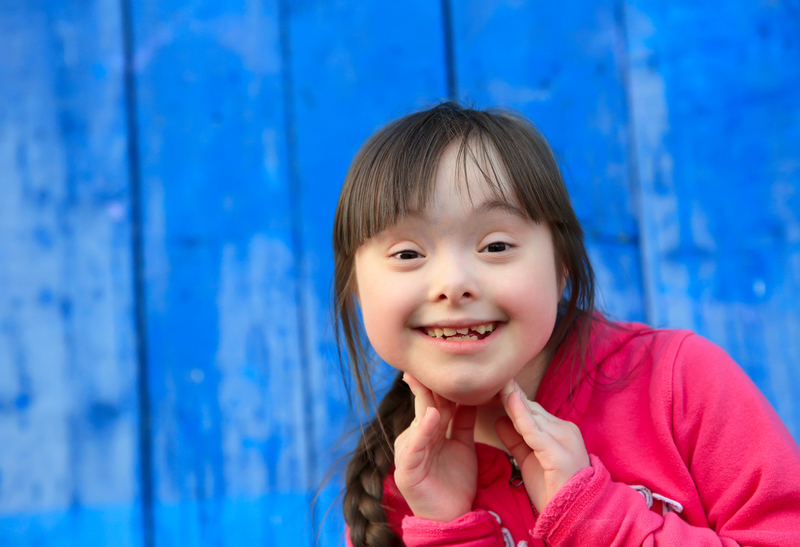 In the UK we are fortunate that many charities and trusts provide grants for disabled children. Whether they have a learning, physical, emotional, or other life-limiting condition. The charities work hard to raise the funds so they can give grants to those in need. Each charity is independent and has its own criteria for giving grants. This includes who it will fund, what it will fund and how much it can fund. A grant is a financial donation or contribution. Unlike loans they don’t need to be repaid and the money you receive is not taxable. What are charities looking for? Charities are looking for genuine need. Only ask for things you need or don’t have the money to buy yourself. Some charities are happy for individuals or family members to apply direct. Other charities may prefer an application from a third party. This may be a medical professional or social worker who knows the child. The charity may ask for a report from a qualified professional to support your application. This is to make sure that the need is genuine and beneficial to the child. A qualified professional may be a health professional, social worker, family support worker, or headteacher. The charity may ask for the report to be included on your application form. Or it may just ask for the professional’s contact details so it can contact them direct. Each charity is different. Some use their own application form while others prefer a written application. Charities with a website may have an online form or a downloadable application form. When you make an application, let the charity know if you are applying to other charities, as sometimes charities will negotiate between themselves and agree to joint funding. The only exception is the ‘Dreams and Wishes’ charities. Only one application per child as these are often high cost items. Increasingly more charities are asking for financial information. This may include the parents’ income, household bills and loans. This is not to question how you spend your money, but an attempt to give their money to those in the most need. Fundraising is becoming harder for charities and funds are limited, so choices have to be made. Each charity will list its priorities for funding depending on its interests. One may fund disability equipment while others will fund anything that improves quality of life. As children’s needs change and new technology emerges charities are open to suggestions. 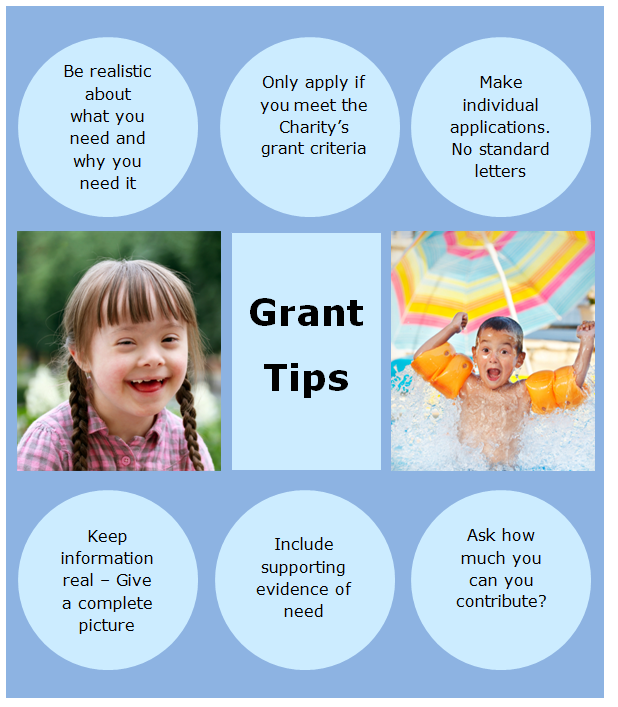 Give the reasons why the item for which you need the grant will help and the difference it will make to your child. It also helps to include a picture of the item and a quotation to support your application. How much will the charities fund? This varies between charities and what you are applying for. Larger charities may be able to fully fund an item and sometimes pay for the upkeep/servicing. The majority of charities will make a contribution and expect the applicant to pay for part of the item themselves. This could be either from the child’s Disability Living Allowance or from personal fund raising. Each charity operates within its own time frame. Smaller charities can turn round grant applications more quickly and they may accept applications throughout the year, while larger charities may meet two or three times a year and are more likely to set a deadline for applications. This information can be found on the charity’s website or its application guidance notes. The charity will offer to pay an agreed amount after the family can show that they have found the remaining funds. This is often used when large sums are required, such as for a surgical operation in the USA.